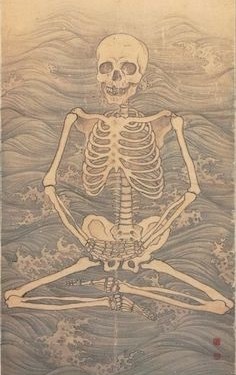 If you’re not sitting, the Sensei said, you’re wasting your life. That, more than dying and death, the pupil feared most of all. Too easily he imagined himself old and dried up on a bed worn out and sad under a threadbare blanket looking back–as the light dimmed and the warmth faded–searching through all the spent years and finding nothing of more value than a broken promise, a forgotten dream. So he sat. Legs crossed before him, perched on a cushion, on a mat, in a line with students likely motivated by nothing as petty as insecurity, as desperate as fear. He bowed when they bowed and chanted when they chanted, not knowing what any of it meant. Worrying he was doing it all wrong, while he did it all wrong. A bell rang. The dojo descended into silence. And, before long, the pupil was drowning in the quiet. A slow panic rose as slight discomforts grew out of proportion and his thoughts ran wild. He tried to focus on his breathing, but he barely resisted jumping up and running out the door. 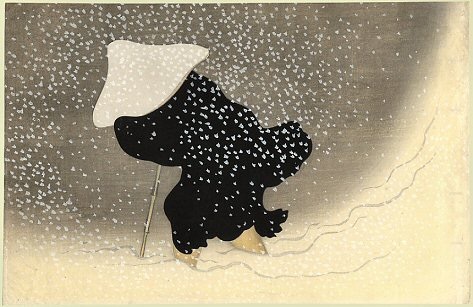 Eventually, the bell rang again and zazen, an eternity — 30 minutes long– was over. The student swore to himself he would never go back, and swore to himself he would try again. Someday. If you’re not sitting, you’re wasting your life. In this case, I was the student and Savoca Sensei the teacher, but the story may sound familiar to at least some of you who meditate at the dojo. As it turned out, I never went back. Then an opportunity presented itself, thanks to the generosity of Sensei Savoca and the hard work of all the students who have raised money for scholarships. In February I was able to attend Winter Camp at Juba Nour Sensei’s Baja Aikido dojo. I didn’t know what to expect, other than I would be expected to attend every class, including meditation. And it was the meditation I feared even more than the legendary Bulgarians I knew would also be there. I was right to be afraid. In addition to the Zen, we practiced Misogi every morning. As the sun rose each day I shouted along with the other students until my voice was hoarse, sitting seiza until my feet numbed and my knees screamed. Each day I felt pushed to the very edge of my tolerance. The Misogi never got easier. If anything, it got harder, but it was gratifying to know I could do it. A strange thing happened, however, during zazen on the day before I left. I experienced the most fleeting of epiphanies, yet the realization has stayed with me. That morning I gave up on trying to control my mind; I did not fight it or try to push down the panic. Instead, I stopped worrying about it–not altogether, but enough to begin to understand the voice in my head, the babbling stream of consciousness– it is not me. I don’ t know who I am, if I’m not that relentless narrator who never seems to shut up, but I do know now I am more than that. The day before I left, for just a moment, I was able to ignore the noise in my mind. I didn’t find enlightenment that day, but it felt like I took a step toward something important. I’m not sure it is possible to waste a whole life. In all these years I’ve lived, there have been moments that counted for something. No matter what happens in the future, I know that trip to Baja was filled with them. For that, I can’t thank Brooklyn Aikikai enough. I am sure I’ll waste plenty more of the few precious days I have left, but I’ll have my moments, too–moments that count–and not even I can take those away from me. Aikido is many things to many people. 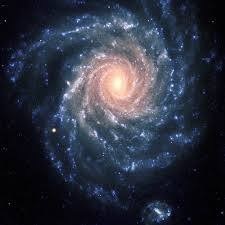 For me it is like a broad and deep river flowing through time. It springs from its source in the mountains with O’Sensei Morihei Ueshiba, runs down and spreads across the plains and valleys with his students, and carries us forward through the decades as we continue to train. And like any river, the deeper we venture into the water, the more powerful the current becomes. I first discovered Aikido in May 2000 at Tom Read Sensei’s dojo in Arcata, California when I was an undergraduate at Humboldt State University. I had always had a fascination with martial arts and Eastern philosophies, but up to that point I had only dabbled my toes in the water. My training at Northcoast Aikido gave me a chance to wade in and start to feel the current. My body began to learn these strange new ways to move, resulting in sore muscles that I never knew I had. As I continued to train, the movements and techniques gradually began to feel more natural, and I began to understand the first layers of their underlying martial logic. At the same time, the humbling knowledge that the more senior students and sempai had been training for years or decades reminded me how little I yet understood. I began to sense the depth of the channel that stretched out before me. River of Light, by Denise Wey. I moved to the Bay Area after college in 2002 and reconnected with my training at Aikido Institute of San Francisco under Gloria Nomura Sensei. After wading tentatively into the water from this new bend in the river, I gathered my courage and plunged in headfirst. As one of Chiba Sensei’s disciples, Nomura Sensei and her students carried forward his unique interpretations of Aikido in a vigorous and challenging style of practice. The training seemed dauntingly martial and even severe at first, but as I began to accept my fear and give myself to the swiftness of the current, I found that it supported me even as it swept me downstream. My body began to change, my instincts and reactions began to align with the practice, and I grew more confident even as I struggled through my own limitations. At the same time, my membership through the dojo in Birankai International connected me with a worldwide community of Aikidoists. 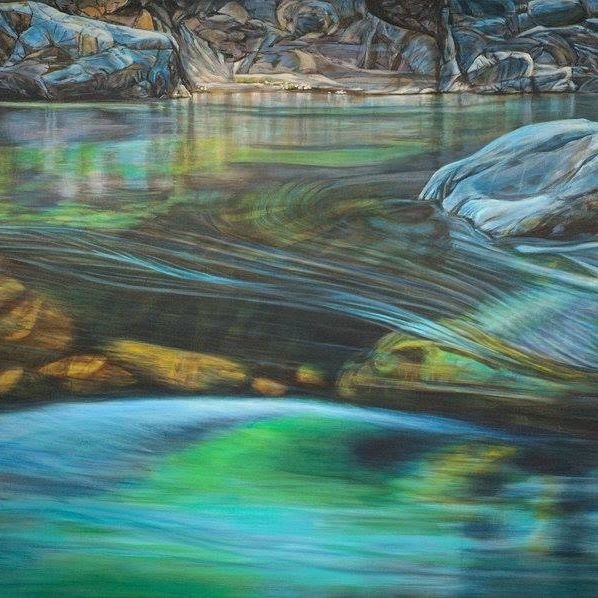 I had the opportunity to train with many new people through seminars and Summer Camps, and I realized that the river of Aikido has many streams, channels, and tributaries, all flowing toward the same sea. 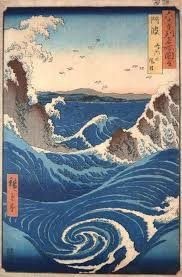 The deep and serene waters of Aikido have also been an enormous source of stability and community during periods of transition and difficulty in my life. 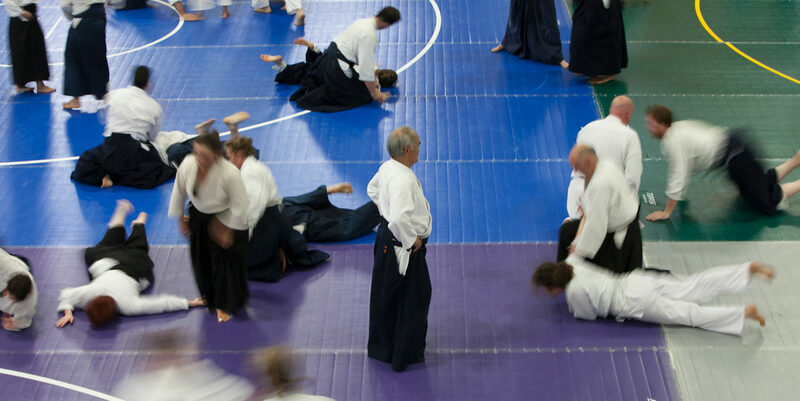 I moved to Minneapolis in 2007 when my wife started her doctoral program there, and I had the opportunity to train at the Twin Cities Aikido Center for the next three years. The members of TCAC became like a wonderfully boisterous extended family, and the training and friendship I found there carried me through many trials in my professional life. We then moved to Oregon in 2010 when I began graduate study at UO, and I was lucky to train briefly with Steve Thoms Sensei at Eugene Aikikai before the combined demands of children and architecture school forced a hiatus. Even when I was unable to train, however, I always considered myself an Aikidoist, and the pull of the river’s current was never far from my mind and heart. We then spent my wife’s internship year from 2013-14 in southern Illinois, and I was able to rejoin the stream with an Aikido community there to continue my training through another difficult period. Finally, my family and I moved back to Oregon in 2014, where I had the opportunity to join Multnomah Aikikai. This return to the Birankai community was a long-awaited homecoming. I feel fortunate to be able to continue my development in Aikido with Suzane Van Amburgh Sensei and Aki Fleshler Sensei, who also trained with Chiba Sensei. A sense of continuity in the lineage of my training stretches upstream through Van Amburgh Sensei, to Fleshler Sensei and Nomura Sensei, to Chiba Sensei, and finally to O’Sensei at the wellspring of Aikido. However, to paraphrase an old saying, one never swims in the same river twice. The flow and swirl of its currents and eddies are constantly carving new channels, silting in old ones, eroding old banks, and depositing new ones. Aikido is a living river that evolves with the dedicated training and stewardship of its practitioners around the world, and it is my honor to be considered a fellow Aikidoist. I can’t wait to see where the flowing water takes me.